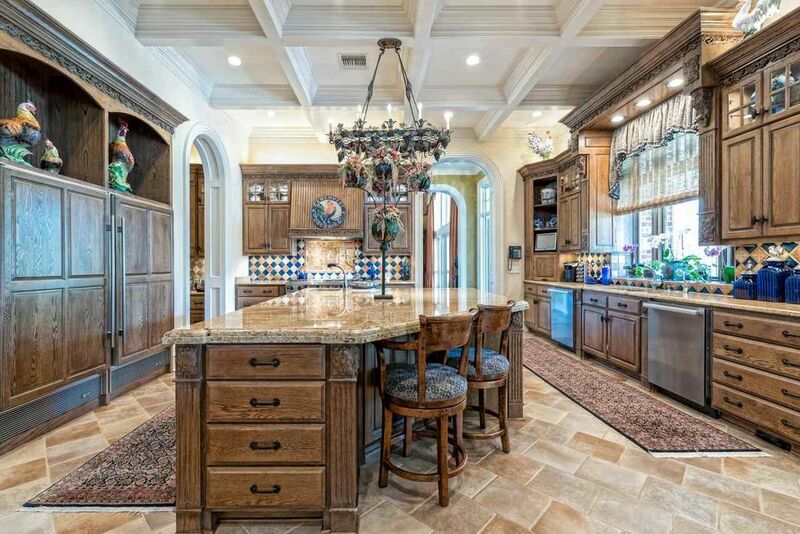 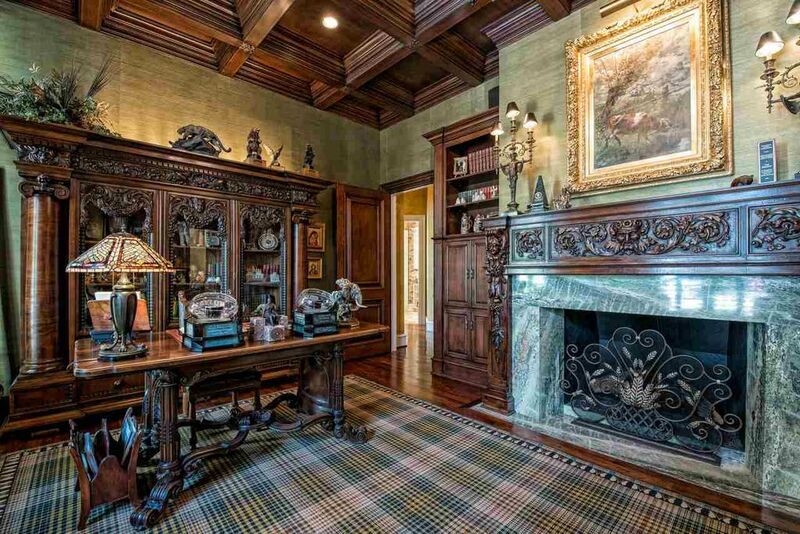 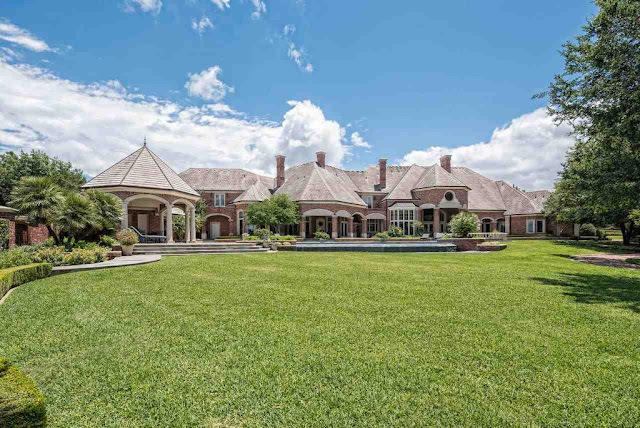 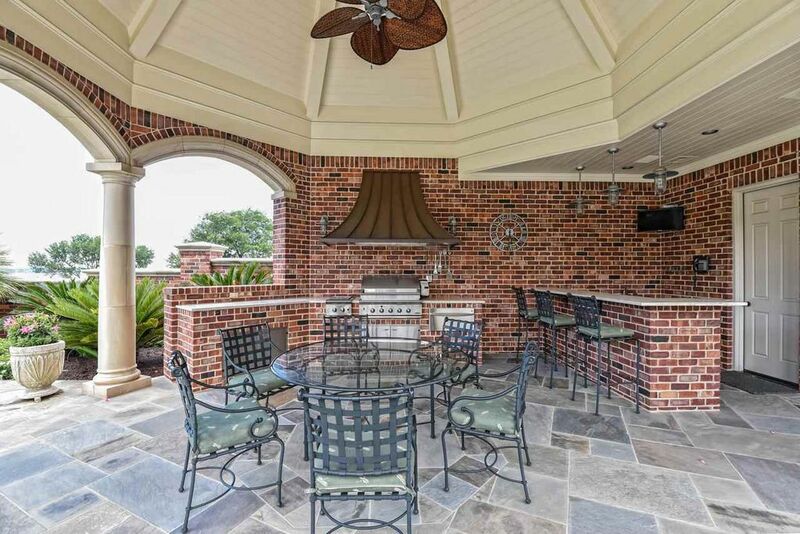 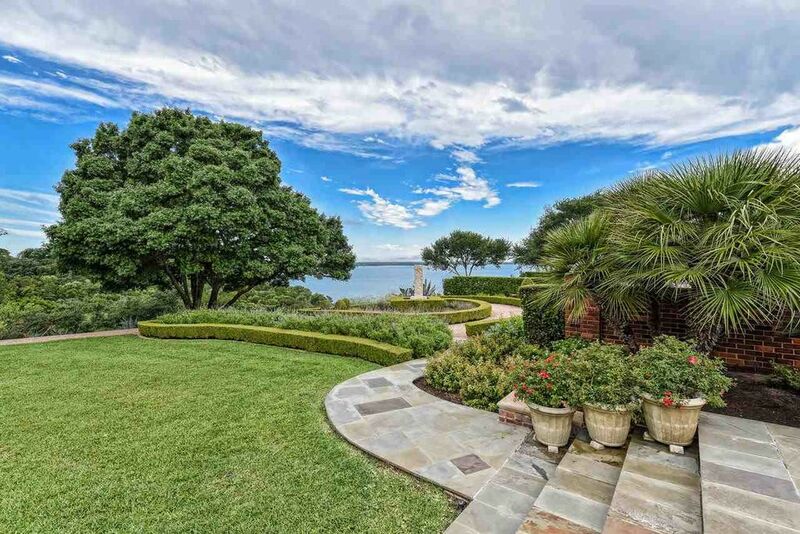 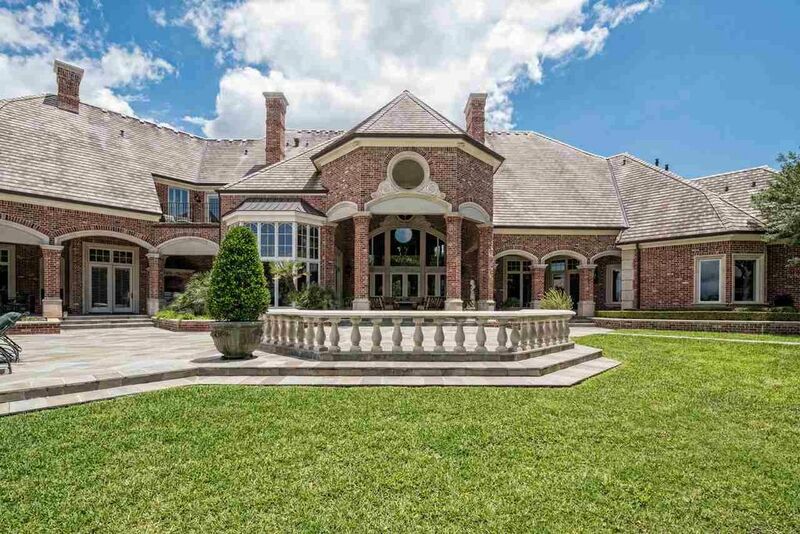 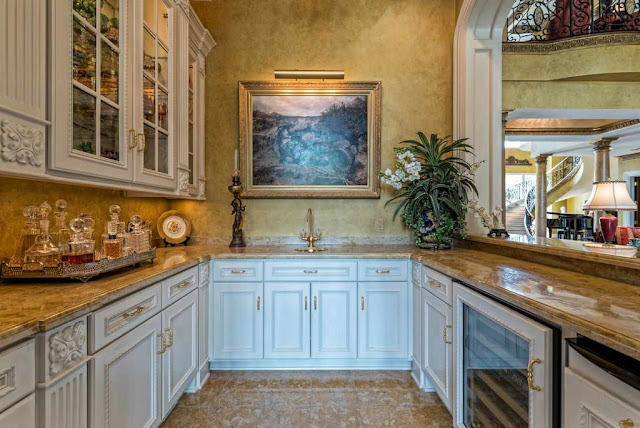 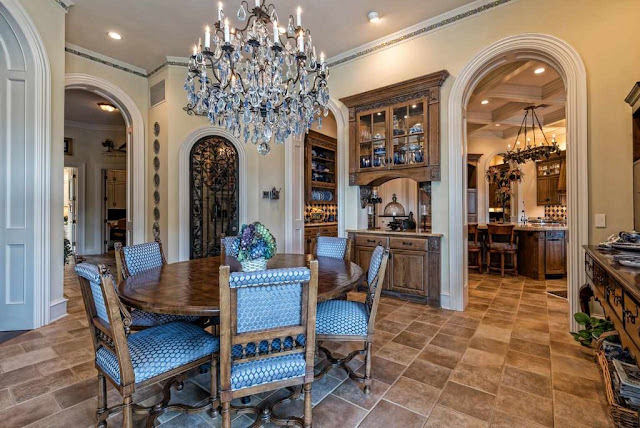 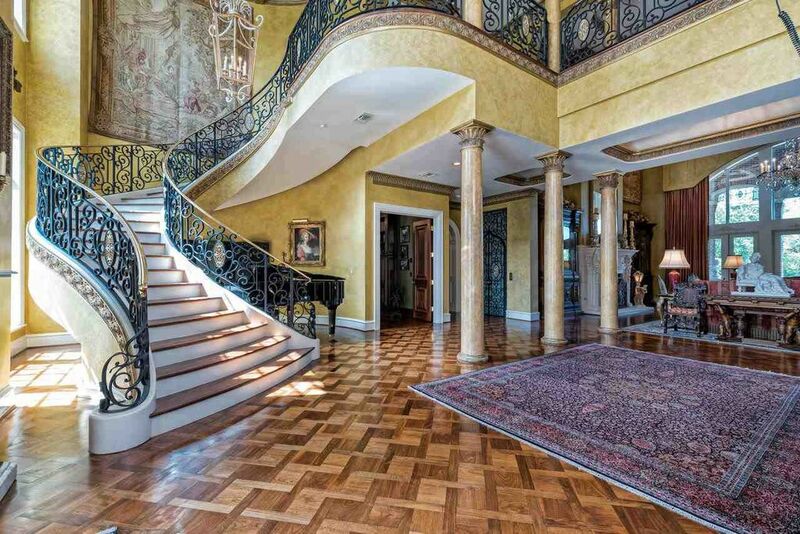 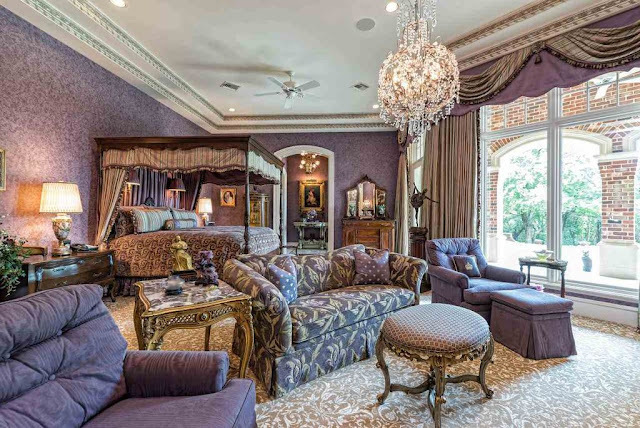 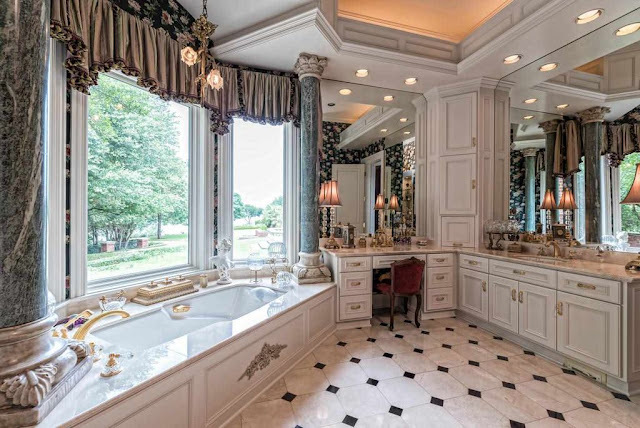 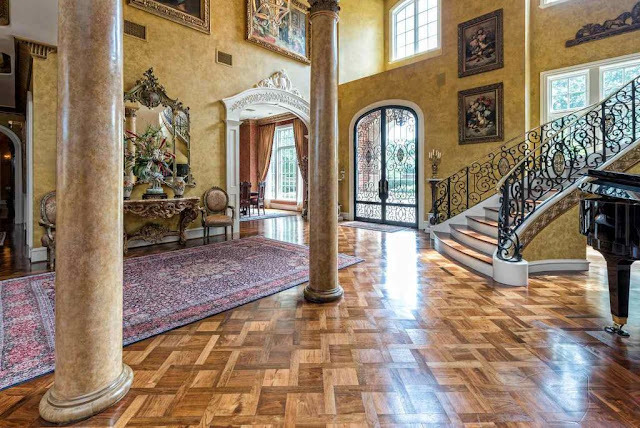 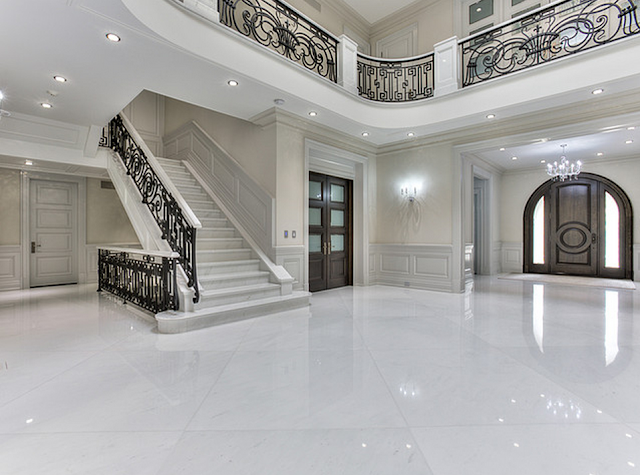 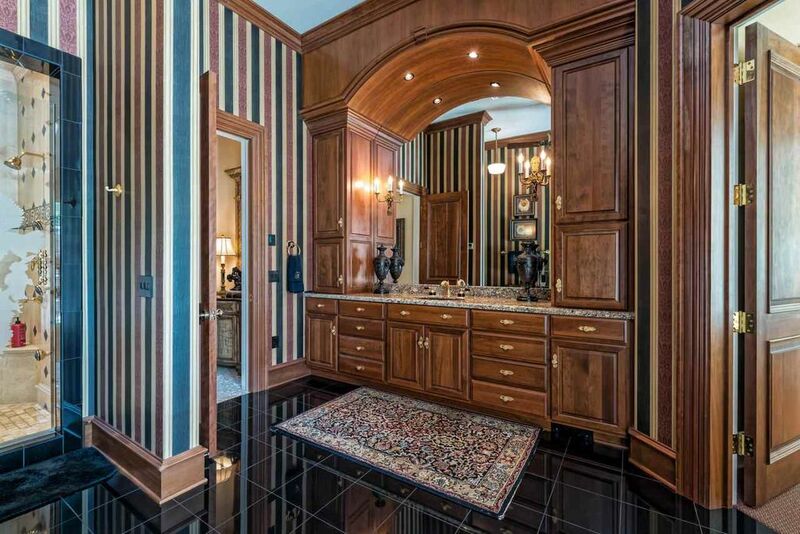 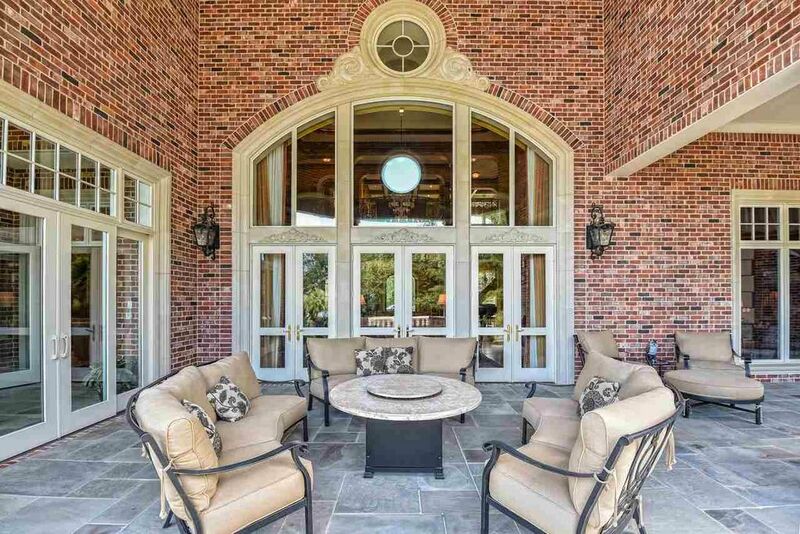 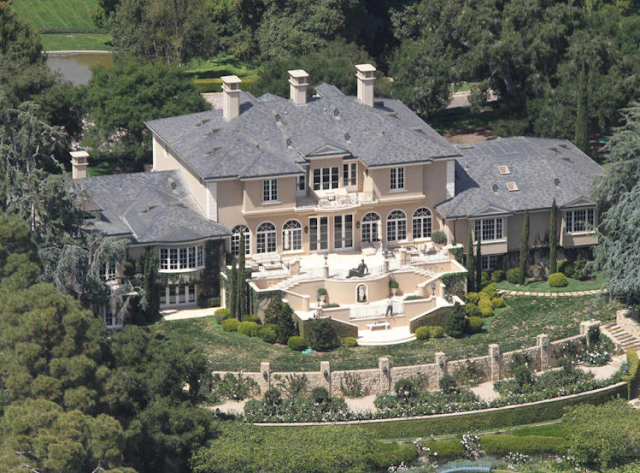 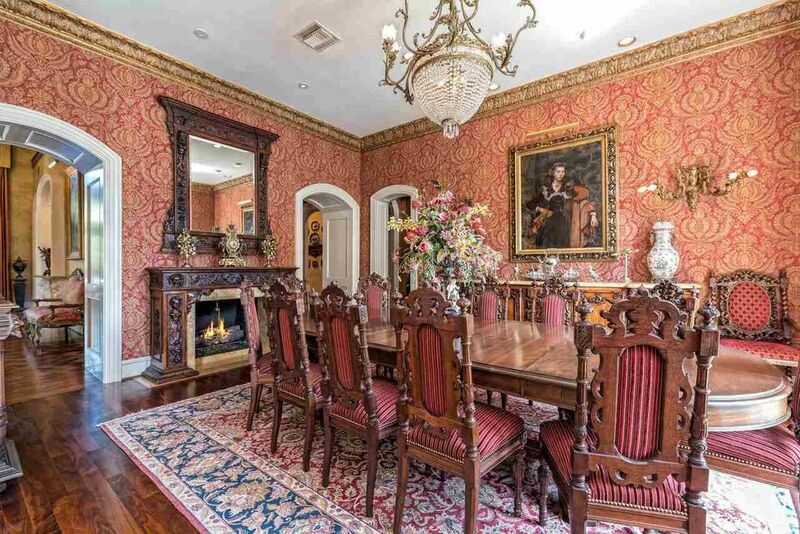 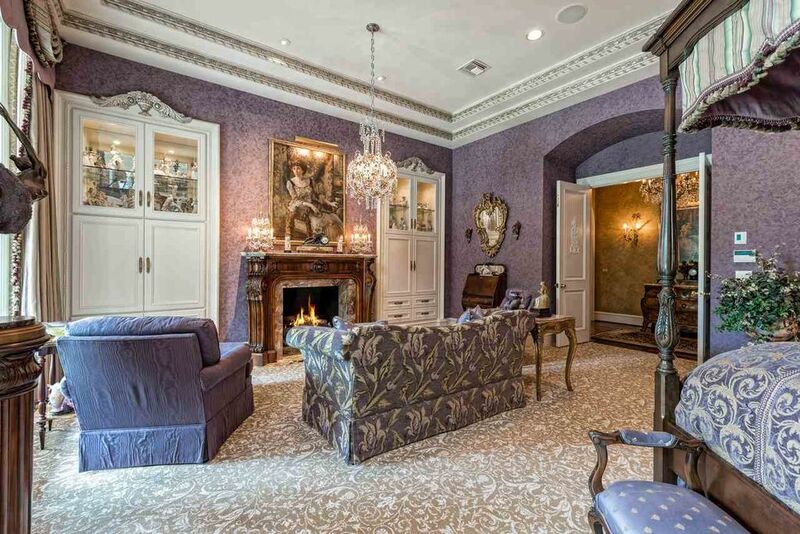 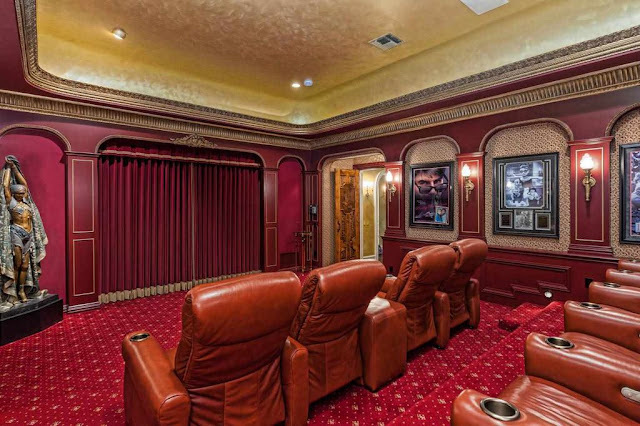 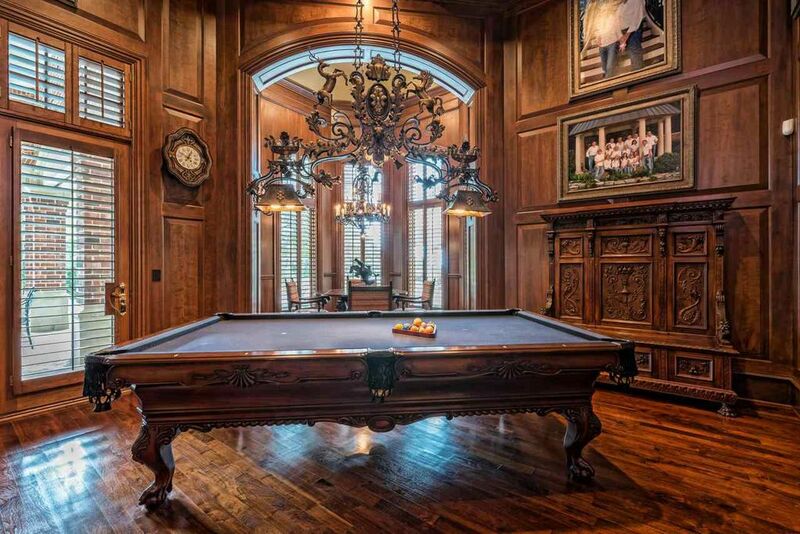 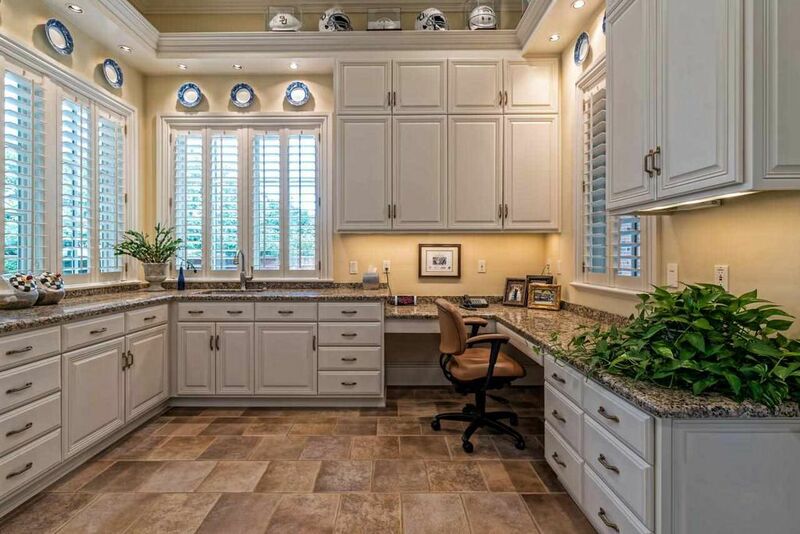 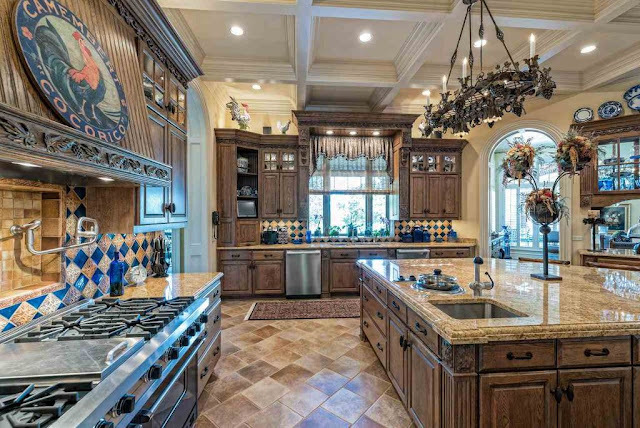 Tour This Opulent Brick Mansion with over 17,000 Square Feet in Texas. 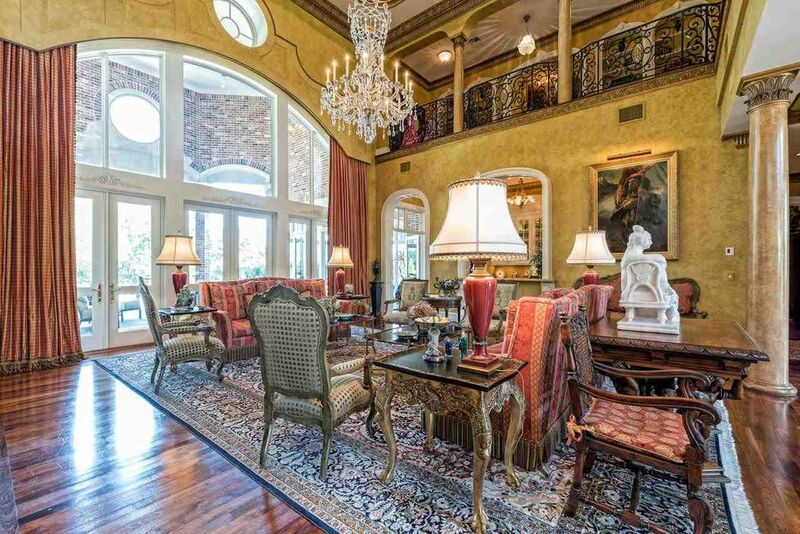 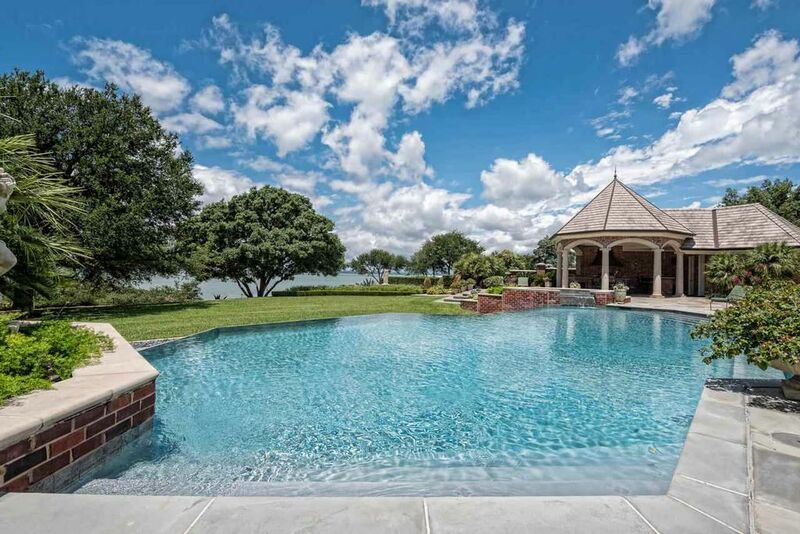 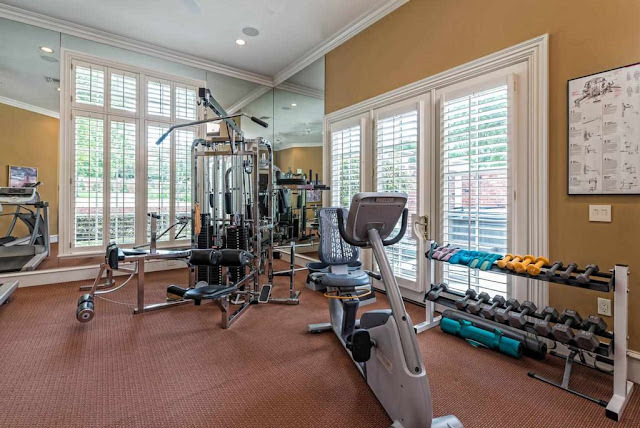 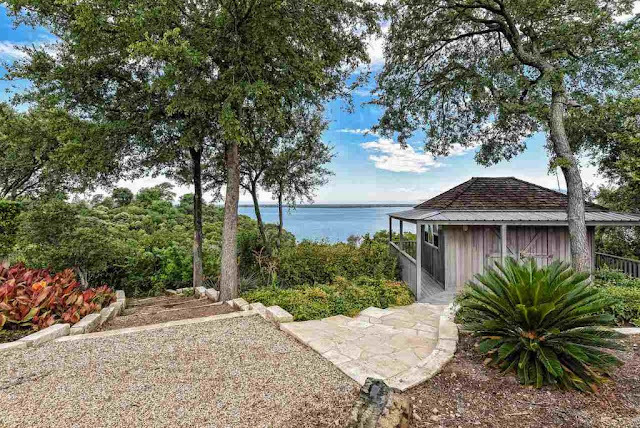 This lakefront brick & stone mansion was built in 2004 and features approximately 17,001 square feet of living space with 7 bedrooms, 9 full and 3 half bathrooms, 2-story foyer with staircase, 2-story great room, formal dining room, gourmet kitchen, breakfast room, family room, sunroom, home office, paneled billiards room, home theater, gym, 8-car garage and more. Outdoor features include a gated entrance, balcony, patios, kitchen/BBQ, swimming pool with spa and a pond with gazebo.